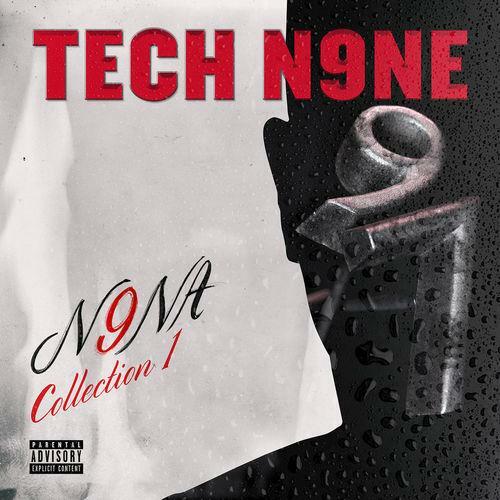 Home>New Mixtapes>Tech N9ne Mixtapes> Tech N9ne Unleashes "N9NA Collection 1"
Tech N9ne's N9NA (pronounced "Nina") album is due out in full sometime next year, but as promised the vet has delivered on a few drops from the effort to hold us over by way of N9NA Collection 1. The new package arrives with four tracks and features appearances from JL, King Iso ad Nave Monjo. "N9NA is my next solo LP," Tech explained of the breakdown to HipHopDX in September. "It’s gonna come out sometime next year but we’re gonna drop songs in support of it for the remainder of this year. I’m still building it. I did Planet and went to my own planet on the last record. This time around I’m letting everybody know the creator even more, N9NA." Adamn Killa Returns With "Back 2 Ballin 2"
MIXTAPES Tech N9ne Unleashes "N9NA Collection 1"